The Bare Knuckle Pickups Boot Camp True Grit Tele Set is hand wound in the UK, features flat profile Alnico V magnets and is mainly aimed at hot blues, hard rock, grunge, stoner, punk and old-school metal tones. The set is designed for use in telecaster style guitars and features a bridge pickup and a covered neck pickup (the colour choices we have available refers to the colour of the neck pickup cover i.e. chrome or gold covers). 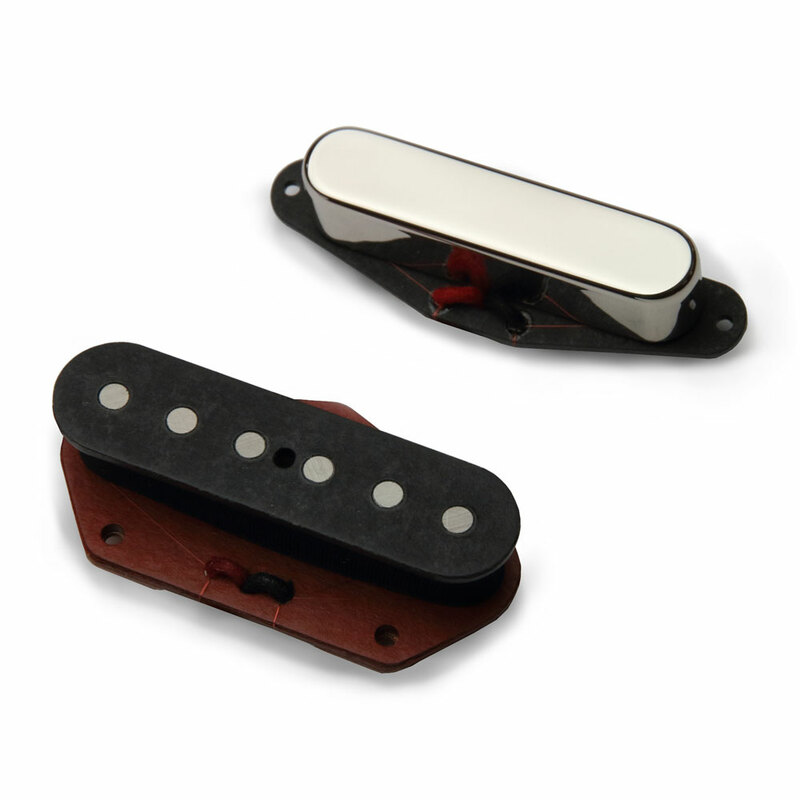 From the Boot Camp range, their True Grit pickups are in the medium output range and produce a fat, rich tone. The Bare Knuckle Boot Camp is a stripped back, no-nonsense pickup range aimed at guitar players who just want to cut to the chase and have great tone.